I’ve known Becky for 10 months now and the more I get to know her, the more I want to know about her. I first met Becky when I started attending her Thursday night gentle Kripalu yoga class at Bodywise Yoga Studio. At the time, I had just begun my full time yoga practice. In the beginning, I attended the gentle Kpripalu class almost on a weekly basis. It was exactly what I needed at that time. I needed her class. With practicing multiple times a week, her class helped to ground me and balance out the vigorous styles of yoga classes I was frequenting. The pranayama (breath work), meditations, gentle yoga postures, and guided relaxations helped to calm my busy and frazzled mind, body, and spirit. In the beginning, I had a hard time not letting my mind wander, but after some practice I learned to better control my thoughts and focus on the practice. Her Kripalu yoga classes have taught me a lot about myself over the last 10 months. I’ve learned to be compassionate toward my body, to listen to my body and to give it what it needs, to eliminate the phrase “I can’t” from my vocabulary, not let me ego get in the way, and to come to yoga class as I am. Becky taught me that regardless of what physical, mental, or emotional condition I am in (and it changes from day to day) I am welcome in her class–that I am meant to be in her class just as I am. 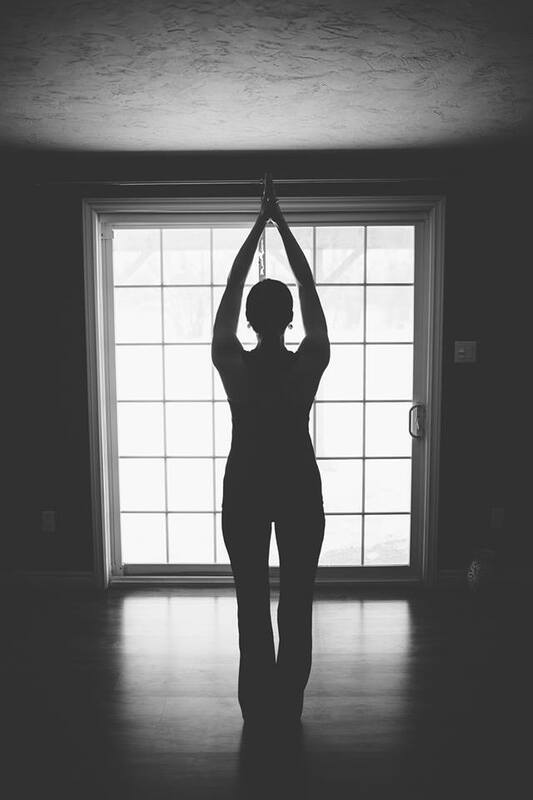 Although Becky is trained primarily in Kripalu, she practices all styles of yoga herself–and practices yoga every day! 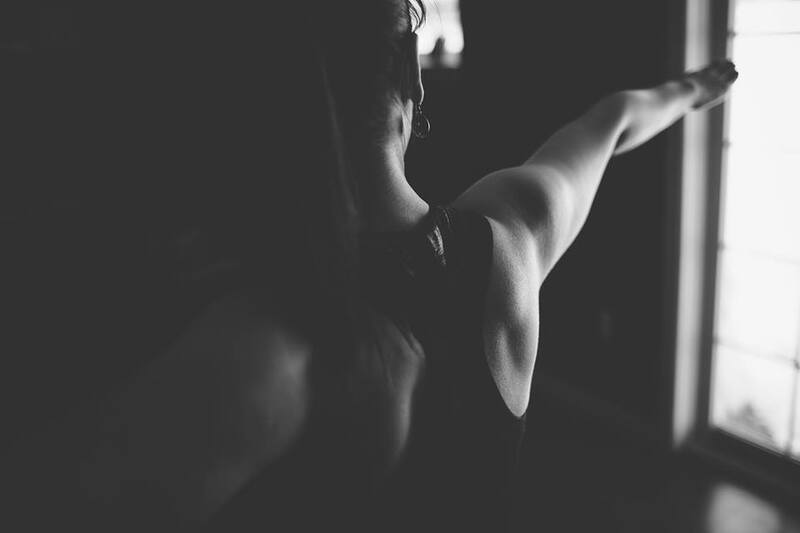 Kripalu has helped Becky to build her physical strength at her own pace, while supporting her in other yoga styles. Becky has reminded me that yoga is not just the physical practice, but yoga can be anything from sitting with your breath, gardening while meditating on a certain phrase, cooking, reading, or taking a long stroll while admiring mother nature. Yoga means giving your body exactly what it needs–sometimes a physical asana yoga practice is not what the body needs, but rather time laying in corpse or relaxation pose while doing some breath work for example. 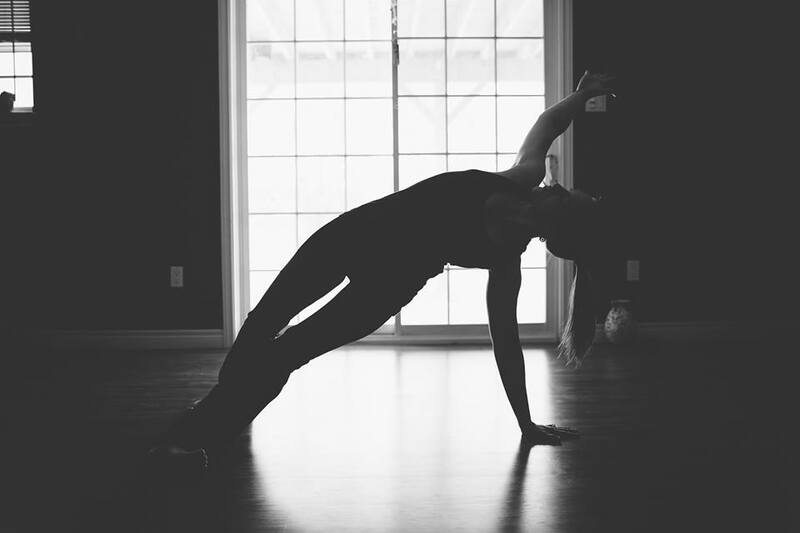 Like any good teacher, Becky not only practices daily, she teaches 6 yoga classes per week in varying styles at a variety of intimate locations. Becky enjoys teaching at small studies because they make people feel at home. Becky routinely self-assesses herself after teaching a class to improve as an instructor. Each student will perceive a class differently and each person will take what they need that day. 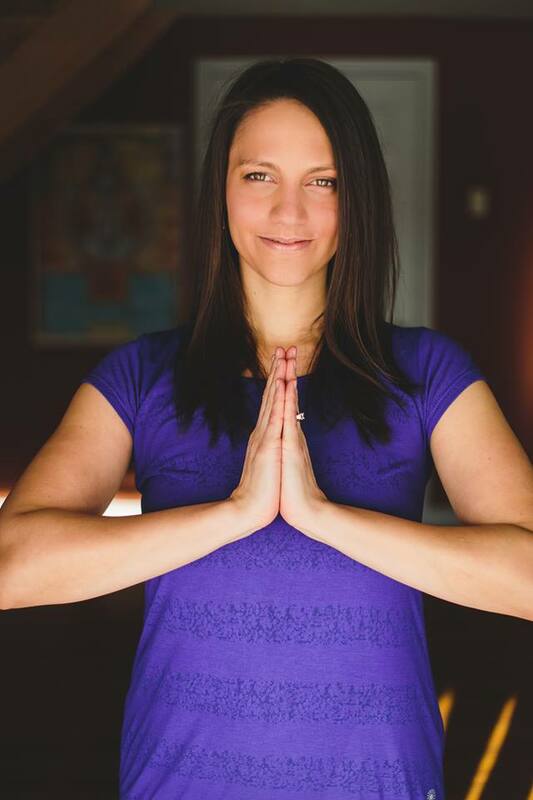 Becky’s niche is to provide interlinked yoga and nutrition programs for her clients while teaching her students to soften their expectations, to be kind to their bodies, and to consult her students based on their nutritional needs. As a yoga teacher in training, Becky is the perfect mentor for me–I have so much to learn from her. Becky’s come as you are teaching style makes yoga accessible to all. She teaches that you don’t need anything fancy to do yoga and that there are no limitations. I’ve seen Becky work with a variety of individuals from beginners, advanced, to special populations. Her number one tip for me as a yoga teacher in training is to figure out what my own unique style is and to be me. It’s important to figure out what it is that I want to offer. I’m having fun exploring my yoga style to see what it is that I have to offer. Where did you do your yoga training? What did you specialize in and why? I did my Yoga Training with Atlantic Yoga Teacher Training based out of Nova Scotia. My program was in the Kripalu Yoga Tradition. In a strange way, this program came to me and was ironic all the same- I had no idea what I would do with my yoga training. All I knew was I wanted to learn to teach yoga and decided on this program because I wanted to learn more about my own practice and how to teach others. My passion has always been to teach others how to empower themselves in their health. Yoga was a great addition to that larger vision. Kripalu Yoga offers a ‘meet yourself where you are at’ philosophy which is much harder than it sounds. How long have you been teaching yoga? What is your unique teaching style like (what makes you different from others)? Would you say you like to teach from a traditional, classical, new age, or a combination (or other) vantage perspective? I have been teaching Yoga since 2010. What makes my teaching style different is that I try to eliminate the “I can’t ” from my classes. There is always a modification, an alternate pose with similar benefits, or a prop to use that can help in our yoga practice. I try to help students who come to my classes find Compassion for their bodies, limitations or tensions, which they feel hold them back–from moving forward from their yoga practice to even the simplest act such as tying their shoes. Kripalu means compassion, so even if the classes I teach bring components from other styles, the essence of my classes always come back to that intention; building compassion for ourselves and then carrying that compassion to the outward world around us. As someone going through a Yoga Teacher Training (YTT) program at the moment, I am interested to know the impact your YTT program had on you. My training offered profound impacts on me. First and foremost, it had the greatest effects on my physical practice- but that was just the beginning. Physical Asana allows you to begin to believe in your own strength, once you start to believe in your own strength you begin to believe in your own potential. Yoga connects you to the world around you and when you believe in yourself, the world around you becomes limitless. 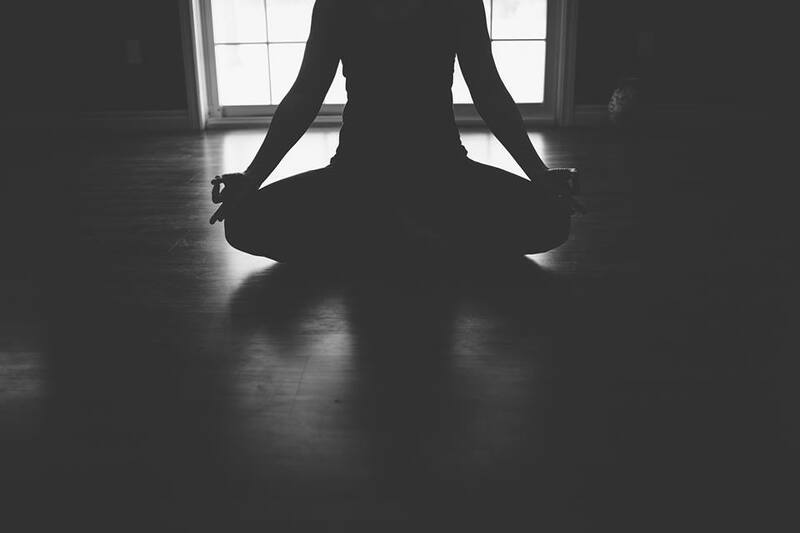 What has your personal yoga journey been like? I feel like I am still on my personal yoga journey and every single day is amazing! As a modern world yogi, do you live by any specific mantra, quote, motto, or way of being? How do you live and breathe yoga today? My motto: “ Be the change you want to see in the world ” Everyday. Our daily choices- what we eat, where we spend our money, how we speak to others, how we treat ourselves all have an impact on the world around us no matter how small we think we are. We are all connected and we all matter. Considering that I know very little about Kripalu, how would you best explain this style of yoga? Kripalu Yoga is known as a ‘meditation in motion’ practice. This is a practice which heals and integrates the body and mind. This style develops awareness and awakens the heart. Kripalu Yoga is appropriate for all fitness levels and body types. This style invites you to come as you are, leaving behind any judgments or expectations; but prepare to develop harmony, happiness, and health. How has Kripalu changed or influenced your life? Kripalu Yoga has influenced me and my life immensely. This style has helped me to be ok with me, to change habits that caused me suffering; to be present and to not worry about what lays ahead. To feel worthy of this life given to me and feel connected to the world around me. To believe in my potential, to move forward, and to inspire others. Have you done any traveling in your yoga journey? Where is your favourite place to practice yoga? I have travelled locally around the Maritimes and further away. I am just grateful to have a place to practice no matter where I am. Each place always has something special to inspire a practice, just allow yourself not to care what others think and be in the present no matter the surroundings. Tell us more about the classes you teach at Bodywise Yoga Studio. I offer 2 regular classes at Bodywise Yoga Studio Thursday’s 7:15-8:30pm and Saturday’s 9:30-10:45am. Both of the classes I offer at Bodywise Studio have a come as you are approach. If you are thinking of trying yoga, this is a great place to start. Do not worry if you have never been to a class before, this is a gentle style with techniques you can take with you into other styles. 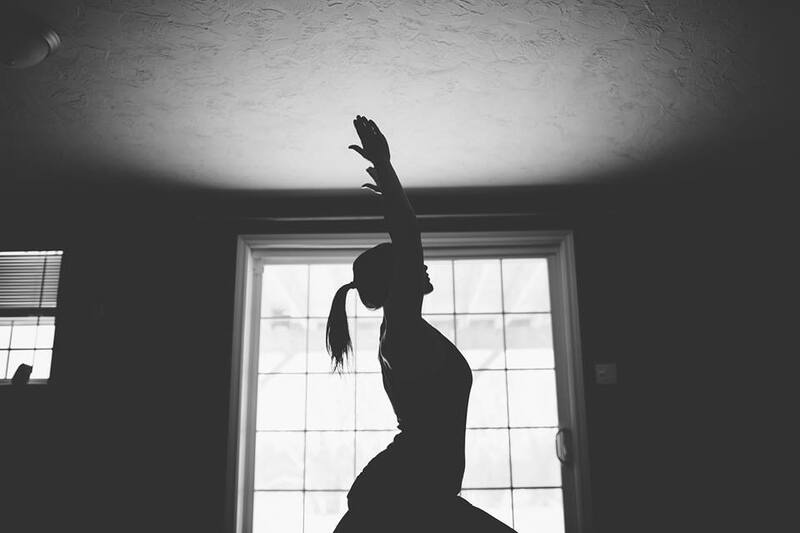 If you are an experienced Yogi that is looking for help in breath work, alignment, and learning how to deepen you current asana, Kripalu yoga offers just that. Thursday evening classes are very gentle with a lot of floor work and mindful movement. This class includes Pranayama (breath work), meditations, gentle yoga postures, and guided relaxations. Saturday morning classes are a little more energized with lots of modifications offered for any limitations you may endure. This class combines a strong body breath awareness focus with postures to get your body moving. Great for releasing tensions of the week and start the weekend with a new focus. I also teach Ashtanga Yoga Wednesday’s 5:30-6:45pm as a teacher rotation. We explore the primary series, modifying your practice to whatever level you are at! This is a more powerful practice, but beginners are welcome. I use this style in my personal yoga practice for strength, to promote purification, and to build self-dedication. I look forward to sharing this practice with you all, see you on the mat! I offer classes at other locations in Salisbury and Riverview, you can find details and stay connected through my website Kripalu and Beyond. I also host many workshops at Bodywise Yoga Studio throughout the year – you can join their mailing list for updates and events. Thank you Becky for sharing your experiences with us! This entry was posted in Lifestyle, Yoga and tagged Becky MacCallum, Bodywise, Bodywise Yoga Studio, Fitness, Health, Kripalu, Kripalu and Beyond, Mindfulness, Turquoise Compass, Wellness, Yoga, Yoga Teacher by Turquoise Compass. Bookmark the permalink. wow. 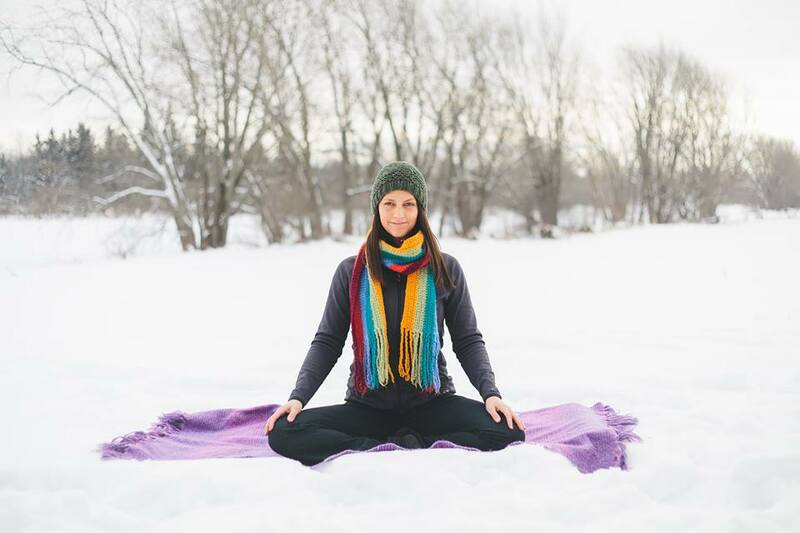 Yoga – in the snow! Wow. Yes, she really is a pro! I need to try it. I’m going to add it to my bucket list for this coming winter. Lord knows I need something to motivate me.